Sasha Jackson Mysteries : Guest Clive Eaton: "It’s just too far-fetched!!!" 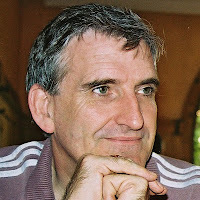 Guest Clive Eaton: "It’s just too far-fetched!!!" If there is one phrase that stops me feeling a book review has any credibility, it’s that one, or some variation of it. ‘The story line is too far-fetched.’ ‘That would never happen!’ ‘How can the author expect us to believe such nonsense?’ To me, these types of comments are often made by people with a certain lack of intelligence. Let me explain why I believe this to be the case. Consider this point: Without exception I could say to every single living person on this planet “you don’t know what you don’t know”. 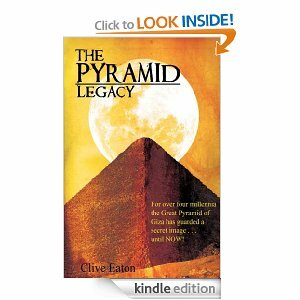 In my debut novel, The Pyramid Legacy, I have the characters discussing themes such as the existence of God, aliens, parallel universes etc. The ‘don’t know what you don’t know’ concept was at work. Action took place in 2025, a time where the Internet no longer existed. 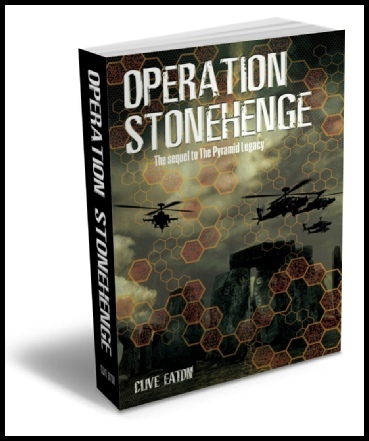 ‘That would never happen!’ stated one reviewer, with a tone of authority. Why not? 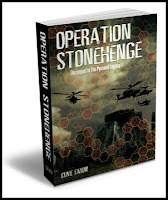 Sure, the specific reason of why/how it was destroyed wasn’t provided in the novel, but it is certainly covered in the forthcoming sequel, Operation Stonehenge, for reasons which will become clear to readers. Just because the reviewer couldn’t understand how it could be destroyed was no reason why it couldn’t be done. Let me use an analogy to explain this point further. Take yourself back to the turn of the 20th Century. Two brothers were hard at work designing the first powered flying machine. Many people mocked them – including their FATHER! Some years earlier Bishop Milton Wright was discussing philosophy with a college professor. The bishop's opinion was that all useful inventions had already been made. The professor disagreed and in turn told the bishop that he was mistaken. "Why, in a few years, we'll be able to fly through the air," stated the professor. "What a nonsensical idea," responded Bishop Wright. "Flight, is reserved for the birds and the angels." Bishop Milton Wright was, like you and me, a person who didn’t know what he didn’t know. As authors we use our imagination to develop creative, and at times, challenging story lines. Readers are without doubt entitled to an opinion of our work. This opinion in the vast majority of cases is of course totally subjective. (If a book has grammatical errors and spelling mistakes, then a mention of this in a review is clearly not subjective.) But I find it somewhat irritating when a book is pilloried by a reviewer who a) hasn’t actually read the damn thing, b) can’t string a sentence together themselves, and/or c) clearly doesn’t have the intellect to follow the story line. Now I’ve voiced my opinion about book reviews, I’d be very interested to hear what annoys you the most about them. Clive Eaton lives in a former farm-house with his wife, Judy, in the heart of rural Norfolk, England. He enjoys photograph, walks in the countryside and along the coast, and watching F1. He hates having his photograph being taken, and the only photo he uses of himself online is one taken by his youngest daughter, Lucy, when she picked up his camera, in a restaurant in Liechtenstein, when he wasn’t looking. More on Clive at his website HERE. Check out Clive's book marketing blog HERE. And you can find him on Facebook too. You're right, Clive, but one piece of advice I believe in is: by all means moan about them to your friends but NEVER EVER respond to a bad reviewer by trying to put them right or getting into an argument with them. The reviewer will love it and get lots of publicity and you will lose - even if you're right. Couldn't agree more Tim. It's half the reason some people give a bad review, to get a reaction. Half the fun then for me . . . is totally ignoring them! As a new author "out there", I'm grateful to see other authors' take on reviews. I've looked at reviews that my all-time favorite storytellers got, and no surprise there, I whole-heartedly disagree with some. I've always thought that once you put something out in the open, you cannot control people's reaction to it, good or bad, and you might just as well accept that most of it is very subjective. If I put everything that happened in my life the past two years into a novel, I'm sure some would say "never happens in real life". You look at other opinions, see if you can take anything from them and then move on. Actually, the "bad" reviews were what sold "50 Shades of Grey" to me.